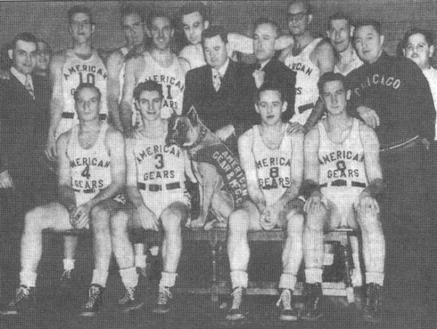 The Gears played in the NBL for 3 seasons from 1944 until 1947. 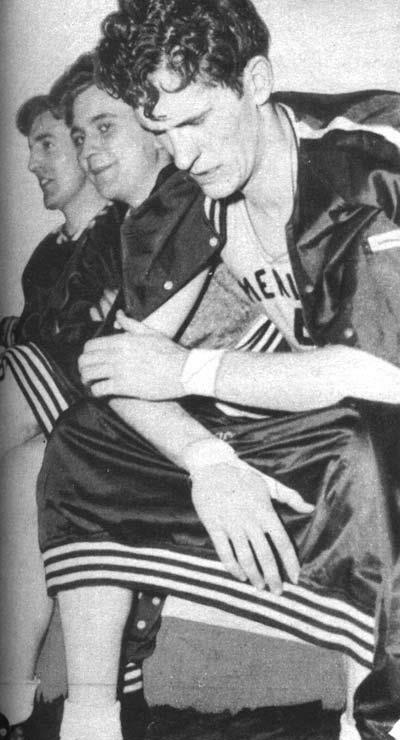 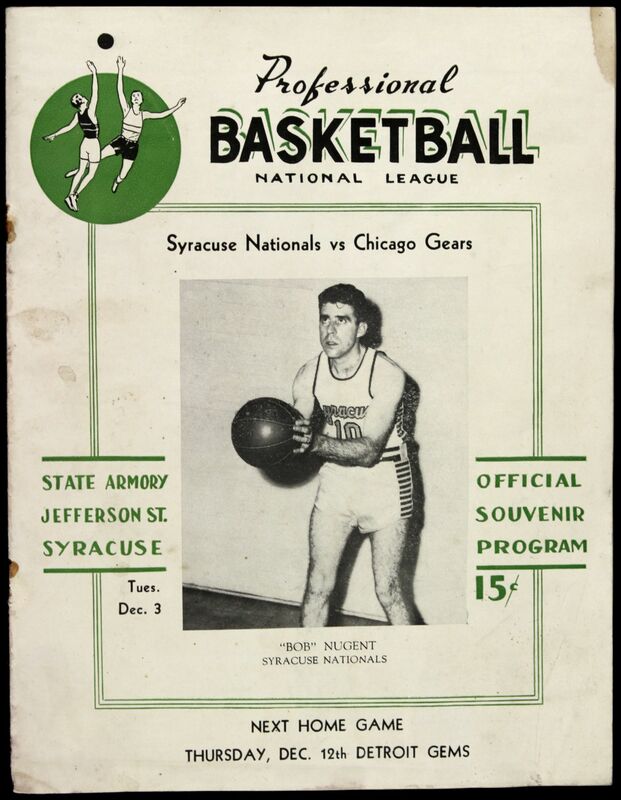 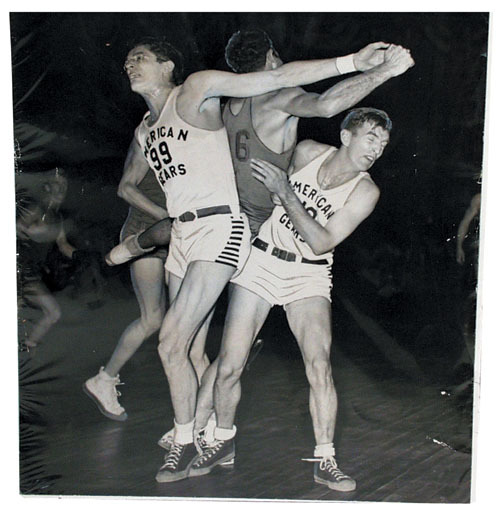 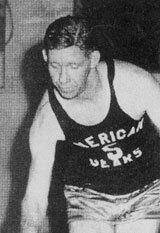 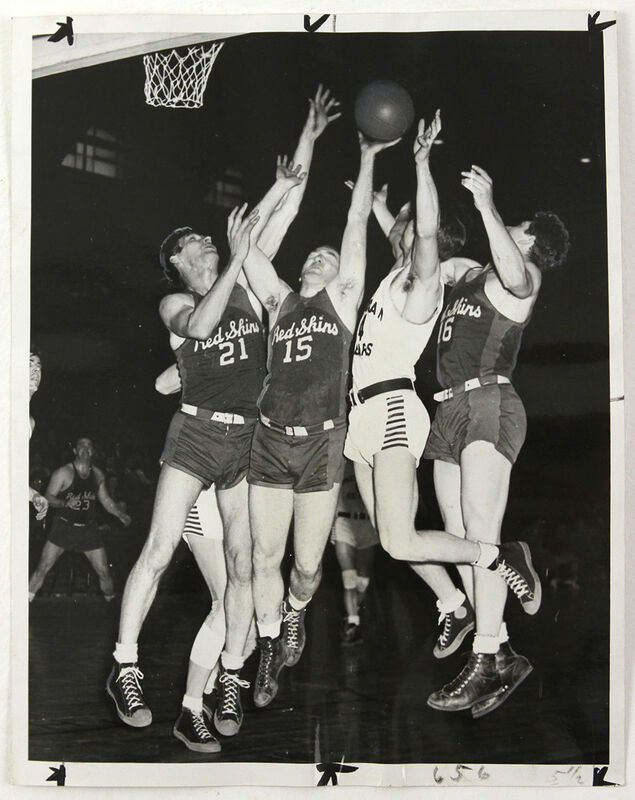 The team acquired local star George Mikan in 1946 and after a hold out he lead them to the 1947 NBL championship. 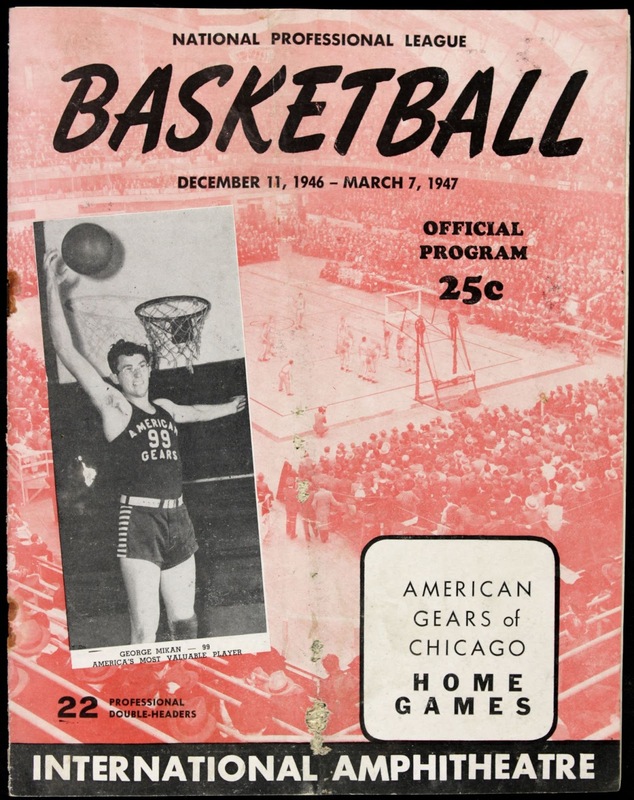 Following the success and dominance of Mikan, Gears owner Maurice White decided to start his own league the Professional Basketball League of America which folded before finishing its inaugural season. 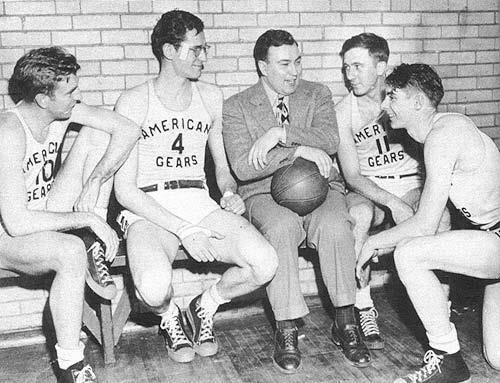 One reason why the Gears and the PBLA failed was because George Mikan had not wanted to join the league and forced his way out, ultimately landing with the Minneapolis Lakers. 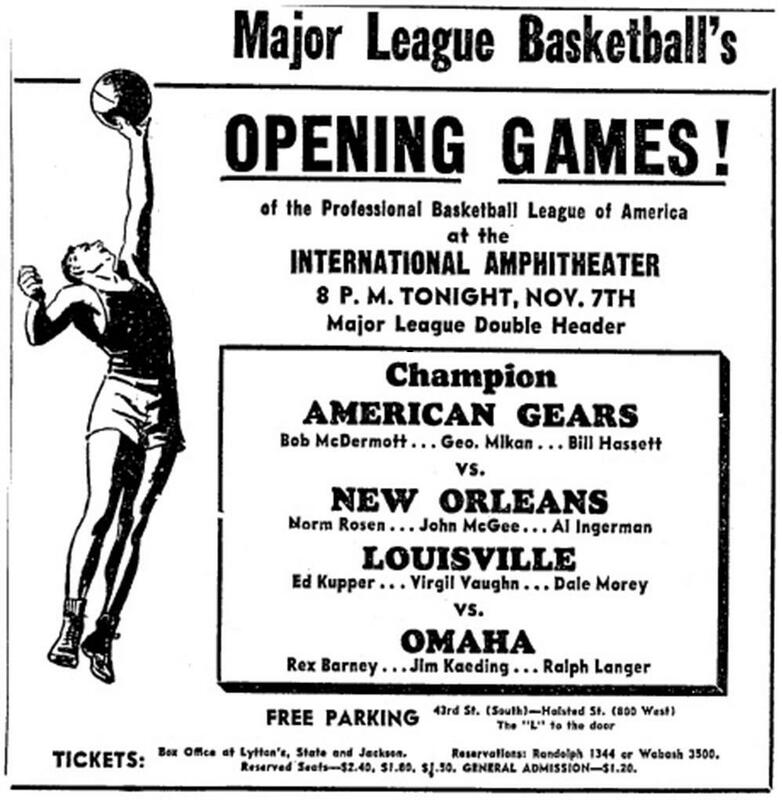 It is likely had the Gears not left the NBL in 1947 they would have been part of the merger with the BAA that ultimately formed the NBA. 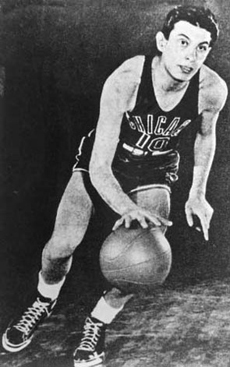 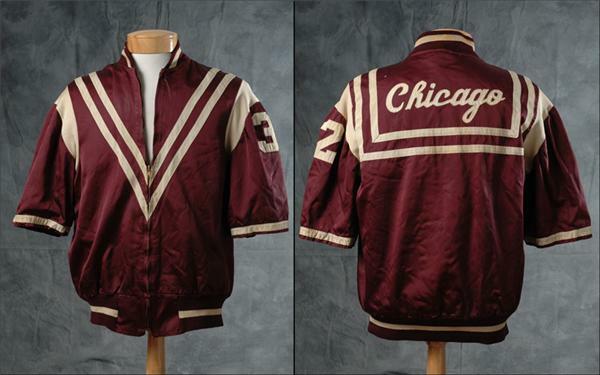 If this had happened than the Chicago Bulls may not exist today. 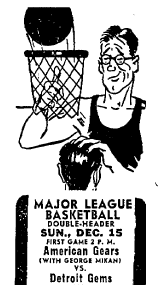 Ad featuring George Mikan as a member of the Gears. 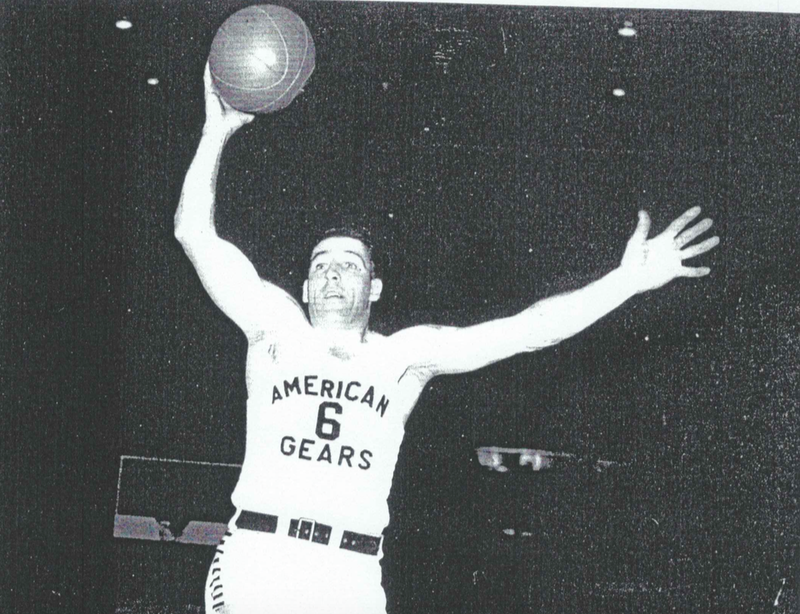 The Gems would eventually become the Lakers and Mikan one of their greatest players. 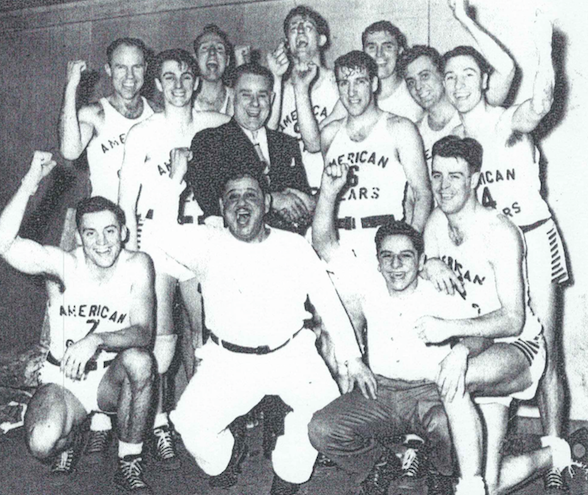 Gears Celebrate winning the NBL title. 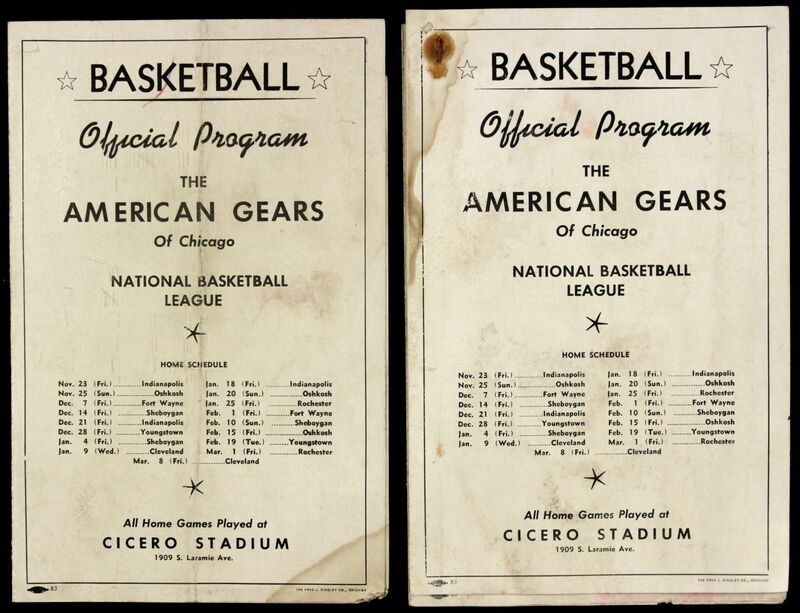 Gears promo ad from the PBLA. 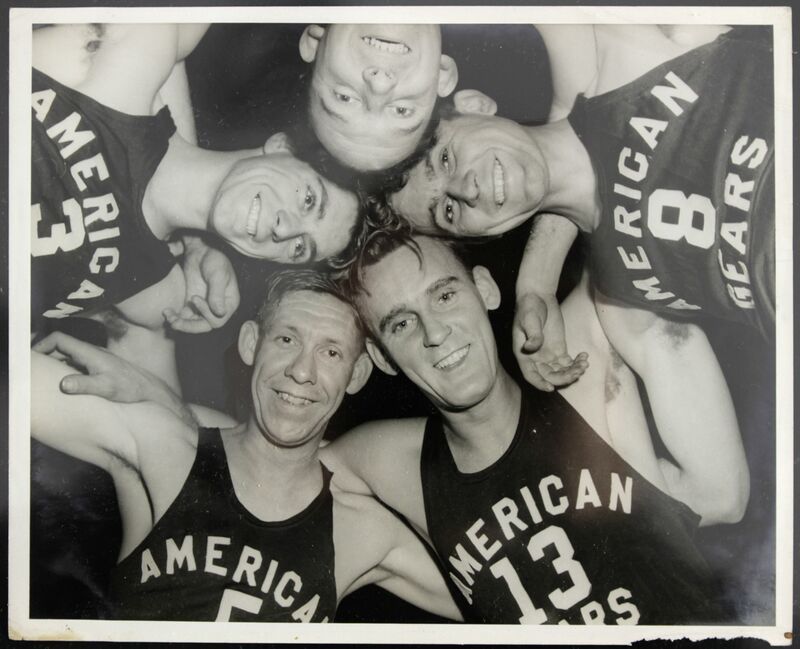 News story about the Chicago American Gears vs the Cleveland Allmen Transfers from Christmas Eve 1944. 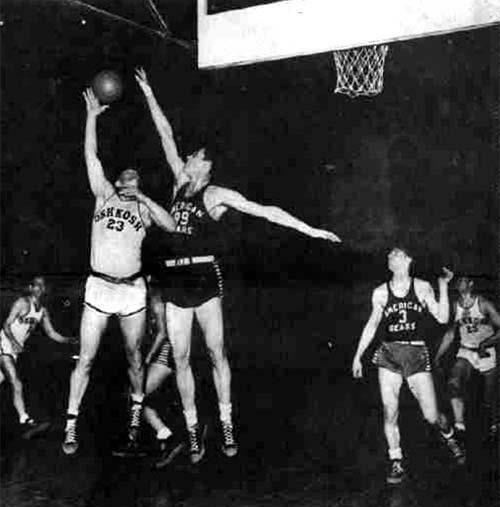 George Mikan attempts to block a shot by an Oshkosh All-stars player. 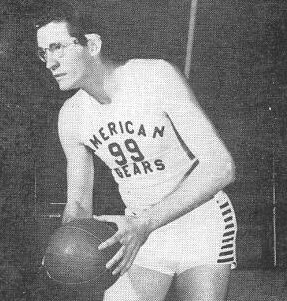 George Mikan in his warmups. 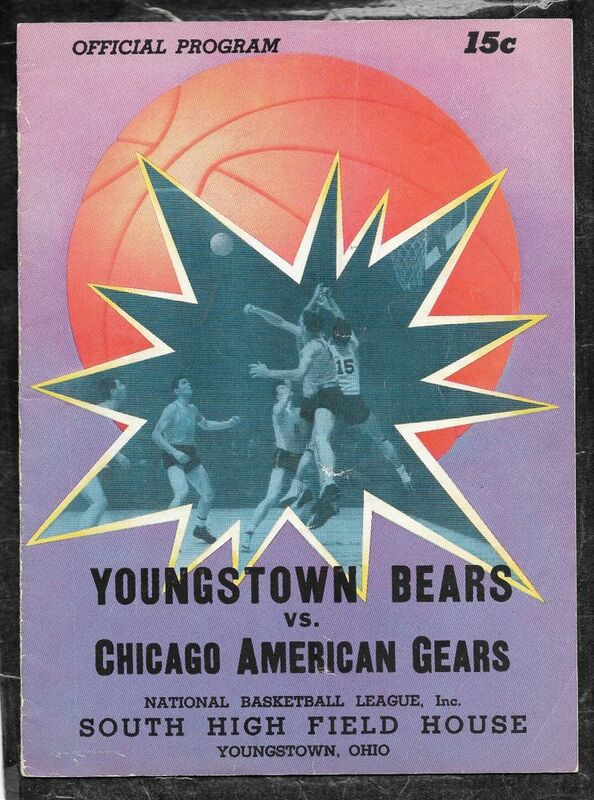 Bears vs Gears program cover.